It's really about time! Just look at my old one! The color is fading and it's quite badly stained! 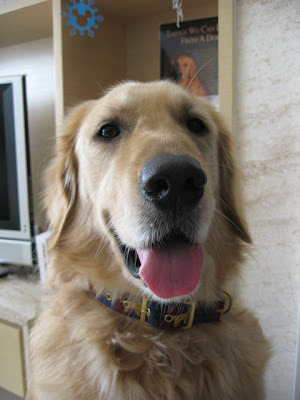 When I saw Augie & Ti's new collars from My Dog Collars, I reminded Mom that I needed a new one too! It arrived just after Christmas and can you believe it took less than a week to reach me? Just in time for the New Year! Yay! Whoa! Four collars? Unfortunately, they are not all for me, three are for my friends. Look at the one I picked for myself! I think I look pretty good. Thank you Augie & Ti for sharing the site! 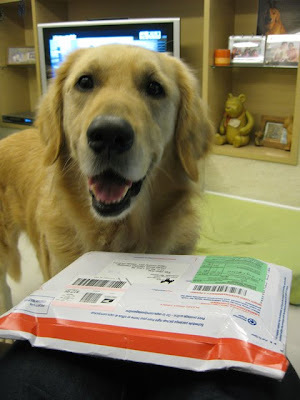 you look very happy and handsome! Oh wow, what great choices! Dino looks very dashing! Aren't these collars great? I love the quality! Very nice!!!! Love the new look! Great new collar, Dino. Sets off your handsome face. 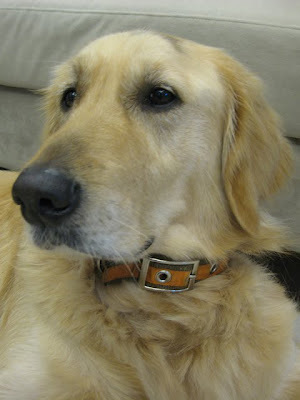 You make a very good model for collars! 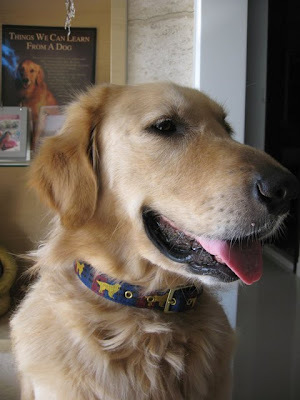 Dino, you look so handsome in your new collar! you looks GORGEOUS in your new wonderful collar!!!!!! 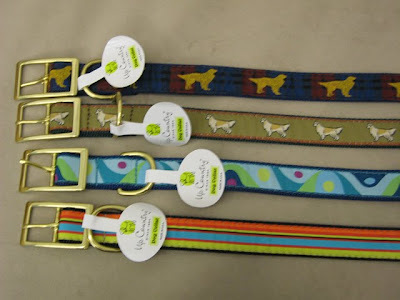 The collars look great and the one you choosed is perfect for you!!!!! You look great, Dino! That's one nice collar! 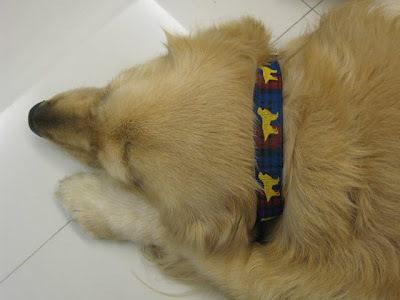 We love Sam's collar - the color looks so good on him, but I have to admit, those collars are pretty stylish! Something is growing on my face!